Create an illustration that could be used as part of HealthPartners core brand image style, mimicking the style of our contracted illustrator, Adriane Johnson- part bold, funky and geometric and part grungy, almost screenprinted. 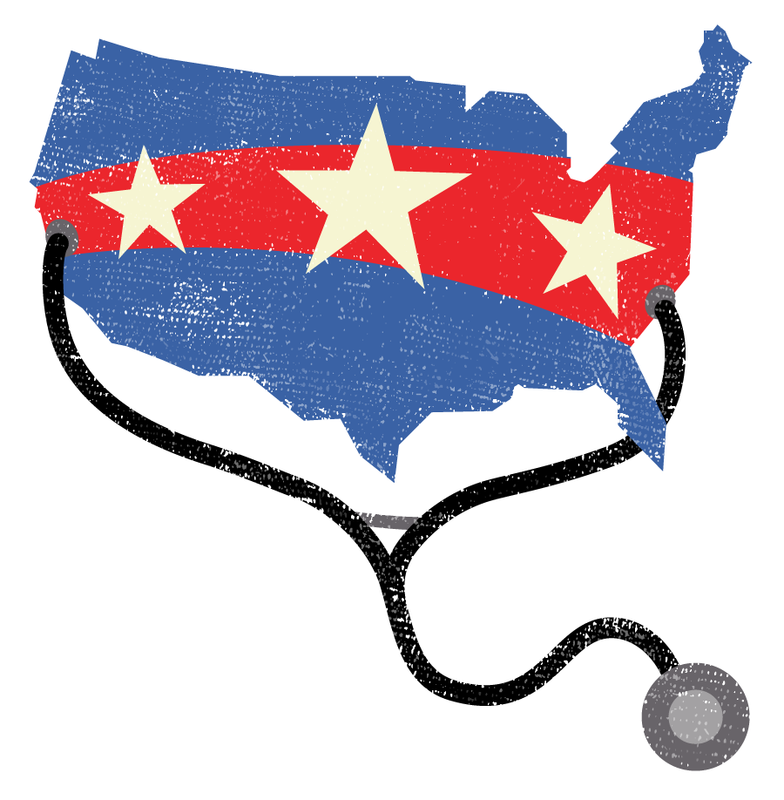 Communicate a positive spin on the healthcare reform debate, already raging at the time. We needed to communicate unity across the country with a common purpose. Eager to work in this style and work on an illustration project, I jumped at the chance to illustrate this myself.